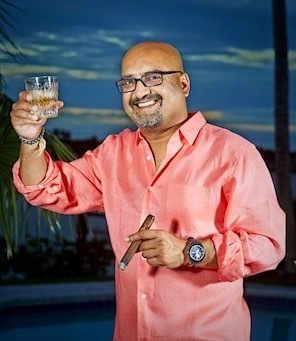 Join us for our 9th Anniversary Event hosted by Nish Patel of Rocky Patel Premium Cigars! There will be cigar specials, drink specials, food and tastings galore, and live music. Dinner will include a pig and goat roast! Cake and cookies will be provided by the beautiful and talented Kristen Sanders, and like always, they will be a surprise. The Grand Prize raffle is a brand new AR-15 made right here in Greer by Palmetto State Defense. The raffle will take place towards the end of the night and you will need to be present to win. This is a Little Black Dress event for the ladies, so gentlemen, dress up! There will be NO shorts, jeans, hats, t-shirts, or flip flops allowed. Anyone wearing these items will be turned away at the door. We look forward to seeing you all for a night of fun and celebration!